With me in charge of the Kitchen this month I decided to open Peter Reinhart’s “Artisan Breads Every Day”. The bread I chose to bake looks a lot like the Struan (the popular one from Brother Juniper’s Bakery) in a multiple-day or overnight version. This book has known and new recipes all revised and/or using the no-knead method made famous by Hertzberg and Francois and of course Jim Lahey. I was quite smitten with the initial idea of Jim Lahey but each and every bread I made using his method I found lacking in flavour and gummy on the inside. I kept the Dutch pot/Romertopf idea because that is simply brilliant and delivers beautiful singing crust every time. I had almost the same problem with the Hertberg/Francois breads, my copy has been read a lot, but I never got satisfying results from it. Mind you; that is satisfying for what I look for in bread. And what I look for may very well not be what you are looking for in bread! (Disclaimer hehe). Probably just a difference in taste because I am Dutch? European? A very strange bread-eater? All of the above and maybe some more. So why try Peter Reinhart? Because at the time I thought I *needed* another bread book. And I thought maybe Uncle Peter had come up with a better method… To date I think I like his method best. Resulting breads do work. I am able to make a 100% ww loaf that actually rises and tastes good, not dry, not overly moist. I love the idea of being able to divide the steps overnight or 3 days. This might be an interesting on-the-side- read for anyone willing to try (or read about) the different methods and how they compare. Lookie lookie here: our own Bread Baking Babe-ness Lynn has also made this bread! Two years ago. Also in May. Close enough right? And here it appears on the Fresh Loaf. After struan, wild rice and onion bread was the most popular bread at Brother Juniper’s Bakery, and a version of this recipe appears in my first book, Brother Juniper’s Bread Book. The recipe calls for wild rice, but it can also be made with brown rice or a combination of wild and brown rice, or any other cooked grain. At Brother Juniper’s, during the holiday season we even added parsley, sage, rosemary, thyme, garlic powder, and black pepper, which made for a wonderful bread for stuffing turkey. Note that it only takes about 1/4 cup of uncooked wild rice to make 1 cup (6 oz, by weight) of cooked wild rice; still, if you’re going to cook wild rice especially for this recipe, you might as well make a bigger batch and freeze 1-cup packets for future use—or have it with dinner! This new version uses the overnight fermentation method. The yeast is added directly to the bowl, not rehydrated with the warm water and buttermilk. You can use either dried or fresh onions, and you can form the loaves into any size or shape. Dried onions are about one-tenth the weight of fresh onions and will absorb water from the dough, while fresh onions will leach moisture back into the dough. If you use dried onions, don’t rehydrate them before adding them to the dough, but do be aware that you may have to add an extra 2 to 4 tablespoons (1 to 2 oz) of water while mixing. Combine all of the ingredients, except the egg wash, in a mixing bowl. If using a mixer, use the paddle attachment and mix on the lowest speed for 1 minute. If mixing by hand, use a large spoon and stir for 1 minute. The dough should be sticky, coarse, and shaggy. Let the dough rest for 5 minutes. Switch to the dough hook and mix on medium-low speed, or continue mixing by hand, for 4 minutes, adjusting with flour or water as needed to keep the dough ball together. The dough should be soft, supple, and slightly sticky. Remove the dough from the refrigerator about 2 hours before you plan to bake. Shape the dough into one or more sandwich loaves, using 28 ounces (794 g) of dough for 4 1/2 by 8-inch loaf pans and 36 ounces (1.02 kg) of dough for 5 by 9-inch pans; into freestanding loaves of any size, which you can shape as bâtards, baguettes, or boules; or into rolls, using 2 ounces (56.5 g) of dough per roll. When shaping, use only as much flour as necessary to keep the dough from sticking. For sandwich loaves, proof the dough in greased loaf pans. For freestanding loaves and rolls, line a sheet pan with parchment paper or a silicone mat and proof the dough on the pan. Mist the top of the dough with spray oil and cover loosely with plastic wrap. Let the dough rise at room temperature for 1 1/2 to 2 hours, until increased to about 1 1/2 times its original size. In loaf pans, the dough should dome at least 1 inch above the rim. If you’d like to make the rolls more shiny, whisk the egg white and water together, brush the tops of the rolls with the egg wash just before they’re ready to bake. About 15 minutes before baking, preheat the oven to 350°F (177°C), or 300°F (149°C) for a convection oven. Bake the loaves for 10 to 15 minutes, then rotate the pan; rotate rolls after 8 minutes. The total baking time is 45 to 55 minutes for loaves, and only 20 to 25 minutes for rolls. The bread is done when it has a rich golden color, the loaf sounds hollow when thumped on the bottom, and the internal temperature is above 185°F (85°C) in the center. Cool on a wire rack for at least 20 minutes for rolls or 1 hour for loaves before slicing. Make sure any rice you use is properly done (soft-ish) because otherwise any bits on top of your bread will be pointy and dry. Not appealing. Also… you can use any cooked grain. I’ve used whole grain bulghur, quinoa, amaranth….anything goes. I find that brown rice tends to disappear in the bread. For the onions: I tried different things and I really liked the caramelized onions and the dried baked onions. Prefer them to fresh onions by far! Really, worth trying. (That has probably a lot to do with the smell of fresh onions in the dough after a night’s rest in the fridge. Brr. Don’t like that). For this last version I decided to once again reduce the yeast and the sugar and make pointy rolls, I used baked dry onions, a smattering of olives and a mix of wild rice, brown rice and different grains. For the liquid I used all milk. This was the best one yet! Shaped 8 rolls, each 100 gram of dough. Baked with steam in the oven for about 25-30 minutes. No eggwash. 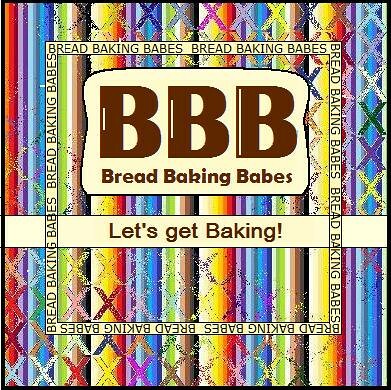 Bread Baking Buddy, be a Buddy and let us know all about it, by sending your details and results to me (as kitchen of the month this time). Send a mail with Buddy May 2014 in the subject line and please provide your name, blog url, post url and attach your favorite picture of the recipe. Send it to bakemyday (at) gmail (polkadot) com. Deadline is the 29th of this month. We want your breads!! Your bread is looking amazing! My loaves are almost ready to go in the oven - yes I know, I'm late but at least I am baking it! And tasty and Fantastic like BBB bread always is. Thanks girls, third was best this time, loved how these turned out. Olives, that's a grand idea! Ummm you used all milk? that almost what I did by accident. Terrific recipe and just what baking a loaf of bread should be. ;-) loved that heel! Gorgeous shape on your rolls, I just did plain rounds but they are so good. I just pulled the bread out of the oven, Karen. It smells divine!! I fear that my post won't be up until tomorrow though. But thanks to you, we are going to feast like kings tonight. Such a wonderful choice and it brings back good memories for me, too. Love that it can sit in the fridge for days and bake up beautifully. Really love your pointy rolls. They look so delicious. One of my favorite bread books! Your rolls are gorgeous! This was a great choice of recipe, so fast and easy. And my husband, who is usually so blasé about my breads, loved this. Loved it and couldn't stop eating it. We all loved the onion taste. Mine came out less than perfect, maybe because of my fridge, but I will definitely be making it again. I want that gorgeous crust on yours!! Thanks for a wonderful bread! Karen I love this bread, might looks simple but it delivers on taste and great crumb! Wild rice is great, I really should use it more. I agree on the no-knead breads, they can be alright, but never be beter that a kneaded one in my opinion.Also breads that can be done in steps (overnight) appeal to me more and more... even though it requires some planning, which is not my strenghts these days! Love the shape and colour of your rolls. Karen, thank you for choosing this bread for the monthly bake. Your rolls look great!